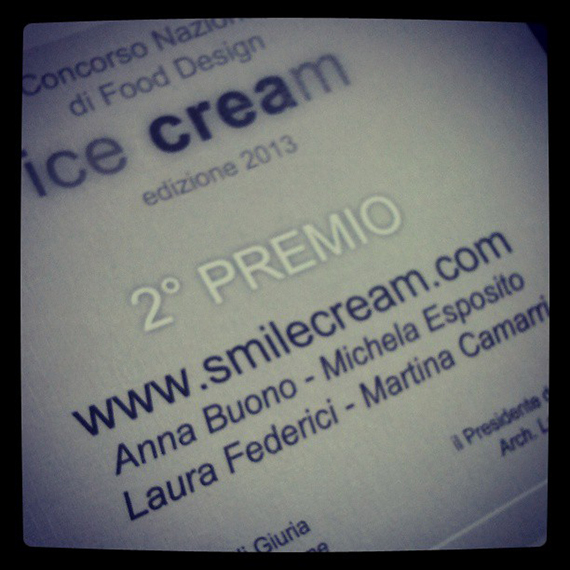 Last weekend I went to Pescara for the award ceremony of the ice CREAm competition! I've told you about this project last month and finally I have the outcome....We've won the second prize!!!!!!!! During the ceremony I've met the contest coordinator, she is a supercute woman and president of the GAPeC association ( Giovani Architetti di Pescara e Chieti - Young Architect of Pescara and Chieti ). She congratulated with me and my friend Martina (who came with me at the award ceremony) for our project, it was very exciting. It's nice to talk with people who appreciate what you do...it's really satisfying! The other contest's finalists were very interesting projects. If you are curious about them you can see all the projects at this link .